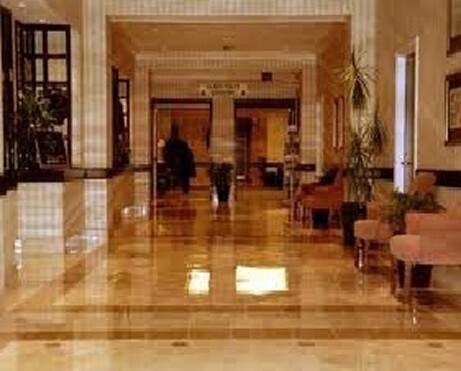 Pro Service Cleaning, LLC is an expert in the floor care field. We provide floor waxing and high speed floor buffing services to many businesses in the South Florida area, including the cities of Ft Lauderdale, Pompano Beach, Palm Beach, Hollywood and Weston. There are many things to consider with residential/commercial floor waxing, including the type of flooring and the proper floor finish that needs to be applied. We use only the best products (Spartan) and the best equipment available to achieve the highest results. Waxed floors do not stay shiny and clean from daily mopping alone. 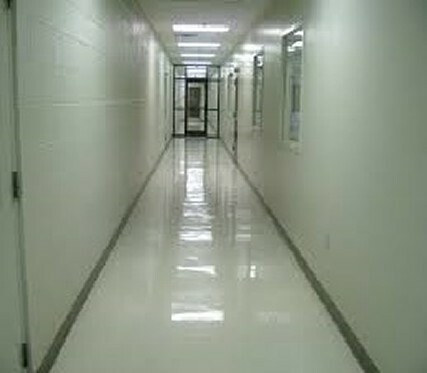 We will put together a complete floor maintenance program that will maintain a clean glossy appearance day after day. We have high speed propane polishing machines to produce the highest possible gloss. It is much less expensive to service your floor regularly than having to strip and re wax it every time it looks dirty and yellow. Our team of experienced floor technicians will leave your floors with a bright "Wet" glossy look! Pro Service Cleaning LLC, is qualified to provide floor waxing, VCT floor waxing, and floor waxing services on other surfaces as well. We can strip and wax, and do any other prep work as need to bring your floor back to looking great again. Our professional floor waxing staff is trained to provide you with the care needed for your particular flooring service, and to customize our service to your needs. Each job is different, and we provide services to both large and small companies. We offer a flexible cleaning schedule to meet the needs of your company. Whether it is VCT cleaning or other tiles, we can come when you need us. We offer daily, weekly, monthly, and project based cleaning. We can come clean during the day, evening, or night. In fact, we have vans available to transport staff as needed. Please give Pro Service Cleaning, LLC a call today, to find out more details and pricing information. Our knowledgeable customer service will be happy to tell you more about our services and find out how we can help you with your floor waxing and floor buffing needs. We would love the opportunity to serve you, and to show you what we can do!